SANTA ANA — A pretrial hearing has been scheduled Nov. 6 in Orange County Superior Court for Robert Dickerman, who is charged with involuntary manslaughter and elder abuse, according to Chief Staff Susan Kang Schroeder of the Orange County District Attorney’s Office. 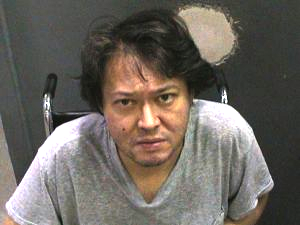 Dickerman, 47, was arrested on Sept. 24, more than a year after the death of his 80-year-old mother, Yoshiko, on July 4, 2012 at Orange Coast Memorial Hospital, where she was taken after being found on the bathroom floor of her home on Azalea Drive in Costa Mesa. Cosa Mesa police said that when officers responded to a report of a combative woman, Dickerman told them that his mother was injured when she fell off a toilet two days earlier, but when he tried to help her up, he became angry and refused his assistance. Police quoted Dickerman, his mother’s sole caretaker, as saying that he left her on the floor. The woman was lying in a fetal position in a puddle of urine, police said. Sepsis was listed as the cause of death. Dickerman, who is also accused of restraining his mother, had been caring for her since 2001, police said. Officers described the home as extremely dirty and cluttered. Neighbors told The Orange County Register that Yoshiko Dickerman was cheerful and outgoing before she fell ill and that the home was immaculate before the son moved in about five years ago. Robert Dickerman worked as an electrical engineer but has been unemployed for a decade, police said. Yoshiko Dickerman’s husband, also named Robert, died in 1977 at the age of 53 in Davenport, Iowa, where the family was living at the time. A World War II veteran and a quality assurance specialist at Rock Island Arsenal, he married Yoshiko Yamaguchi in Kobe in 1961. The couple are interred at Salt Lake City Cemetery in Utah.